Today we published a subtle but significant update to the AWS Well-Architected Framework. We looked to see where AWS Solutions Architects and customers diverged in how they judged something to be Well-Architected, and we restructured our questions and answers to help close that gap. There are many definitions of IT architecture, but, at its core, a good architecture is like a well-designed building: It creates a space that we love to be in. In technology, good architecture creates a space that allows our code to thrive, to evolve, to delight. Bad architecture inhibits the ability of our code to meet our expectations, and it exposes us to risk, wasted effort, extra costs, and bad outcomes. How do you know if your architectures are good? 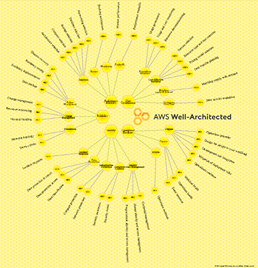 In 2012, we created the AWS Well-Architected Framework as a way to answer that question. 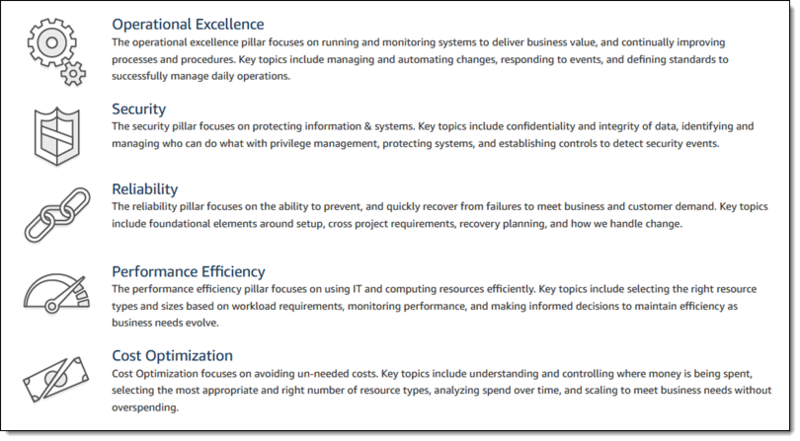 AWS Solutions Architects review thousands of workloads every year using the framework. We learn from these reviews: new ideas, bad ideas, and constant innovation. We curate those learnings, from our customers and our teams, to create a framework that remains current but also tested and pragmatic. We use Kaizen 改善to help us continually improve the framework. We bring data—your anecdotes and challenges—and use it to understand where we can improve the framework. We experiment, ask five whys, draw pictures of fish, and whiteboard, whiteboard, whiteboard. We draft guidelines for writing best practices, we shape our best practices to fit, we iterate. 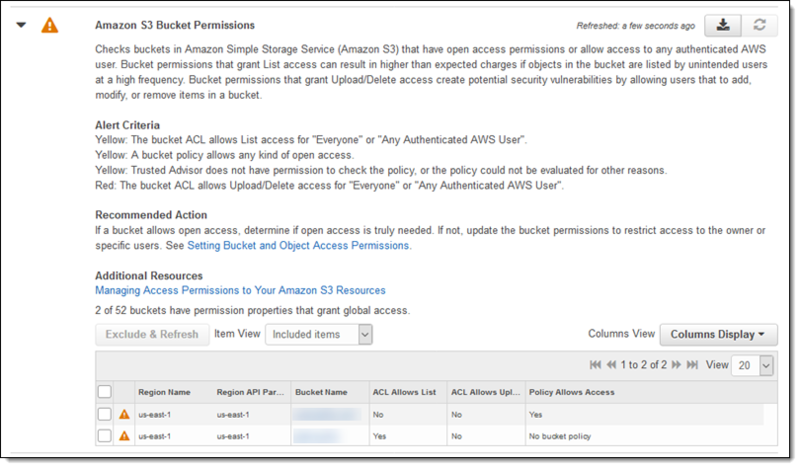 We have it reviewed by our principal community, taken for a spin by AWS Solutions Architects, and then we publish an update to the framework. We joyfully spin round a Deming cycle. With this update every question has been refined, and some have been split into two to ensure they focus on a single topic. The framework has also been updated to reflect new services and features, and is available as a whitepaper PDF and free as Kindle books. We believe that if you follow the well-architected way, your architectures will create a space where your code and functionality will delight your customers. You can find free training and all of the whitepapers on the AWS Well-Architected homepage. For some organizations, the idea of “going serverless” can be daunting. 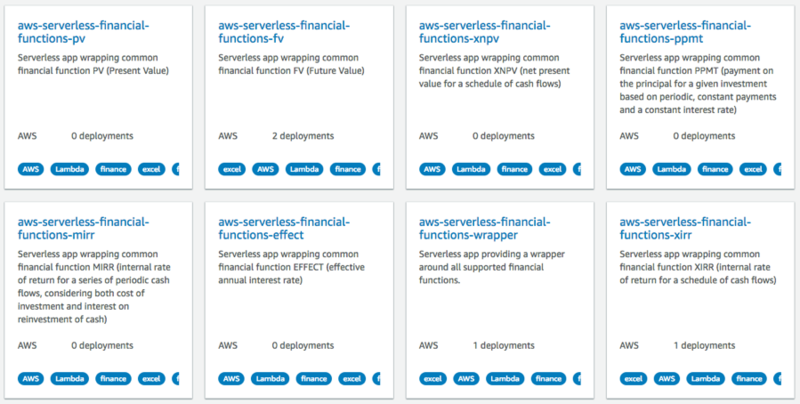 But with an understanding of best practices – and the right tools — many serverless applications can be fully functional with only a few lines of code and little else. Web or mobile backends – Create fully-serverless, mobile applications or websites by creating user-facing content in a native mobile application or static web content in an S3 bucket. 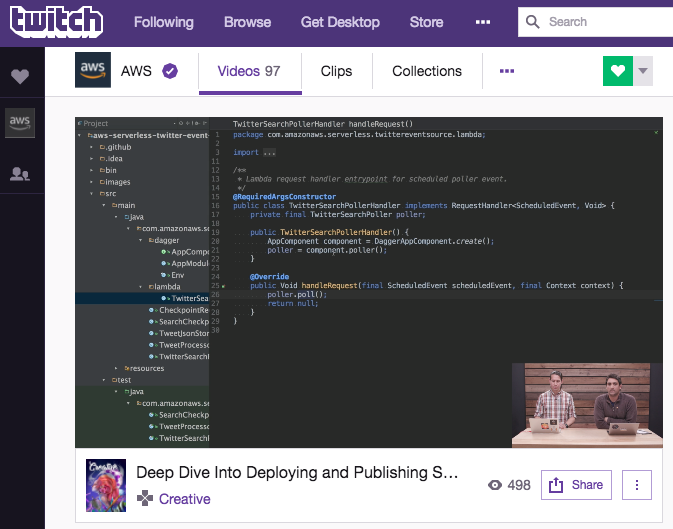 Then have your front-end content integrate with Amazon API Gateway as a backend service API. Lambda functions will then execute the business logic you’ve written for each of the API Gateway methods in your backend API. Chatbots and virtual assistants – Build new serverless ways to interact with your customers, like customer support assistants and bots ready to engage customers on your company-run social media pages. The Amazon Alexa Skills Kit (ASK) and Amazon Lex have the ability to apply natural-language understanding to user-voice and freeform-text input so that a Lambda function you write can intelligently respond and engage with them. Internet of Things (IoT) backends – AWS IoT has direct-integration for device messages to be routed to and processed by Lambda functions. That means you can implement serverless backends for highly secure, scalable IoT applications for uses like connected consumer appliances and intelligent manufacturing facilities. Using AWS Lambda as the logic layer of a serverless application can enable faster development speed and greater experimentation – and innovation — than in a traditional, server-based environment. We recently published the “Serverless Architectures with AWS Lambda: Overview and Best Practices” whitepaper to provide the guidance and best practices you need to write better Lambda functions and build better serverless architectures. Andrew Baird is a Sr. Solutions Architect for AWS. Prior to becoming a Solutions Architect, Andrew was a developer, including time as an SDE with Amazon.com. He has worked on large-scale distributed systems, public-facing APIs, and operations automation.